Get the Details on Inventory Movement. 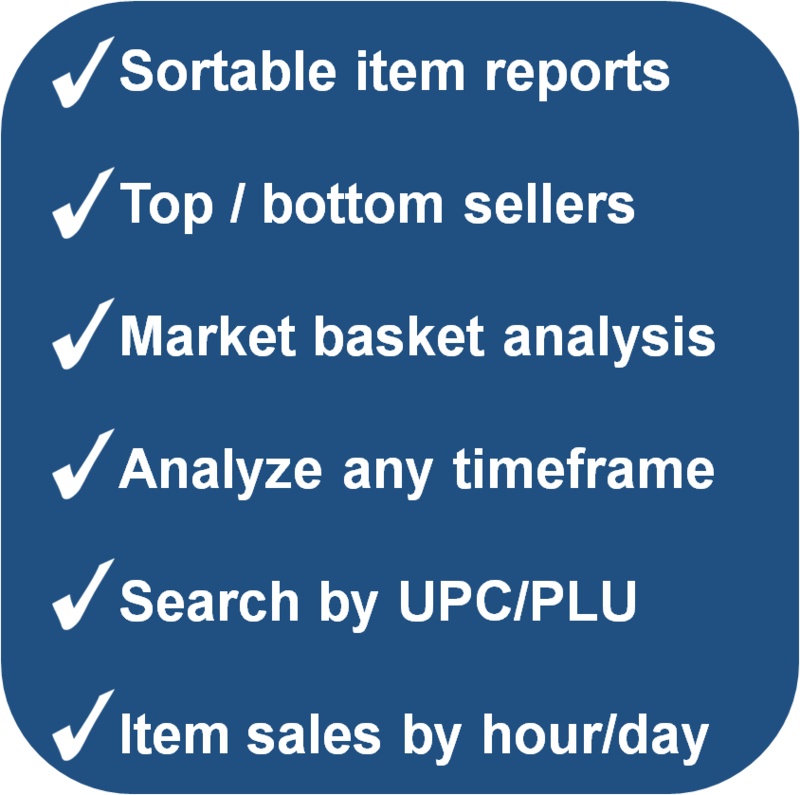 Transaction Analysis lets you sort and view your inventory items according to key criteria. Want to see what your top selling items were last month? How about viewing the ebb and flow of total item sales over the previous year? Or seeing how an item is performing, how promotions are affecting profits, and how many item units are selling—just by typing a UPC/PLU into the application. The program is especially useful with Food Service. 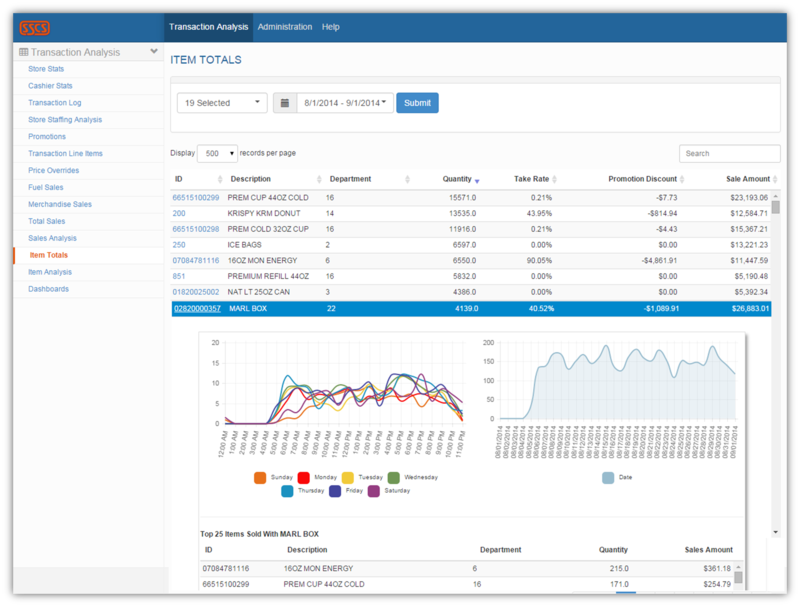 Because you can see reports on pizza, hot dogs, or burgers that show you exactly what time of day they're being purchased, you can also make sure you have them available when they're most popular, minimizing waste and spoilage. 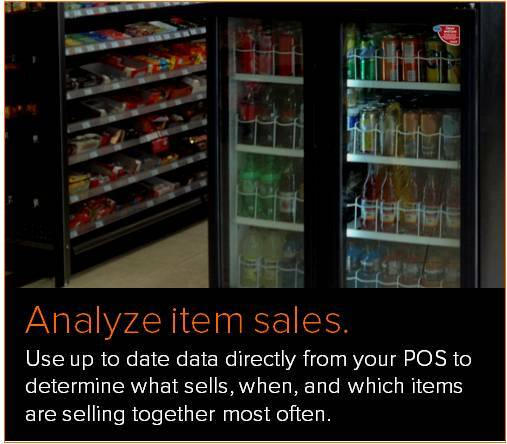 With Transaction Analysis, adding new items to your inventory is no longer guesswork. You can track the sales of recently added items to make sure you're going to make a profit on them before investing in more.